The Personal Injury Resource Centre (PIRC) sponsored by Murphy Battista LLP was developed based on the firm’s core values, which include helping injured people and their families get the information and resources needed to aid in the injury recovery process. Located adjacent to G.F. Strong, the PIRC is an information clearinghouse and resource for injured people and their families. The goal is to provide resources for dealing with the many issues that arise during recovery. The PIRC also acts as a drop-in centre and meeting place for seminars on issues important to people living with disabilities as well as being a place where people can arrange to get free legal advice on the third Friday of each month. The PIRC has been operational for over a year now and we thought it might be helpful to share the top 5 questions we get at the PIRC. 1) Is this a law firm? No. 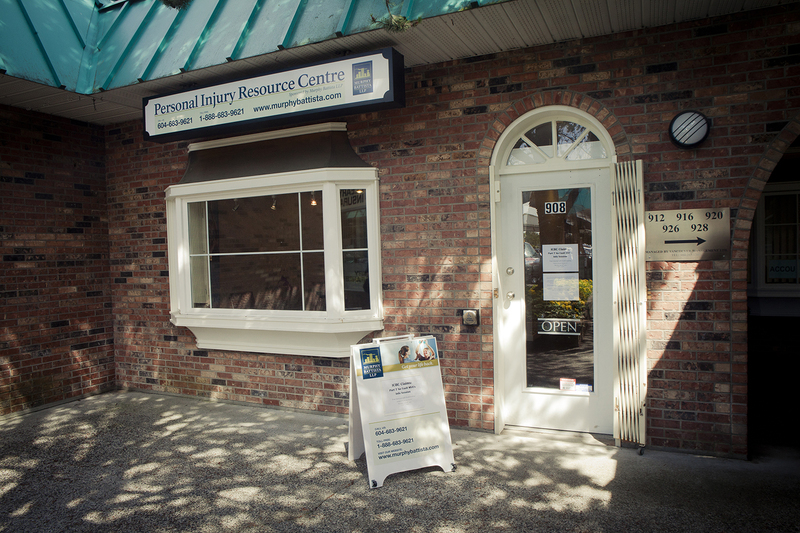 The Personal Injury Resource Centre (PIRC) is sponsored by the firm with the intention being to provide resources to the community. Although it is sponsored and supported by the firm, it is not, in fact, the law firm itself. At the PIRC we strive provide as many resources to the community as we can to help injured people during the recovery process and to improve the quality of life for those who live with an injury. We provide seminars on topics such as human rights, dealing with insurance companies, accessible housing and more. We have legal advice clinics for those who would like an hour to sit with a lawyer and ask any question they have, whether they have a complex case, or simply need advice on how to deal with a situation on their own. We also liaise with and provide information about other community resources that can lead to recreational activities, advocacy support, and general information about what you’re going through. In short, This is a needs-based resource centre. The PIRC is free. At Murphy Battista LLP we recognize the value of sharing information and building strong networks as necessary supports for getting your life back after an injury. We want to make sure everyone is armed with the information they need in order to succeed post injury. All of our services in the centre are free of charge, as well as any consultation with a lawyer, should you want one. Murphy Battista does not advertise in the traditional sense (ie. Yellow Pages or TV ads). It is by word of mouth and helping out the community that we obtain and support clientele. That being said, you do NOT need to be a client of Murphy Battista in order to utilize what the PIRC offers. This centre is here to support the community, and we are happy to help anyone in any way we are able. 3) Do I have a case? The Personal Injury Resource Centre is manned by two Resource Coordinators, Kristina Shelden and DJ Lam. We ourselves are not lawyers and as such will not provide you with any legal counsel. However, we are happy to set up a consultation with one of the lawyers either through our free Legal Advice Clinic or through a more immediate connection. Joe Murphy, QC and Joe Battista, QC were pioneers in starting up a firm focused exclusively on representing injured people in personal injury and insurance cases. 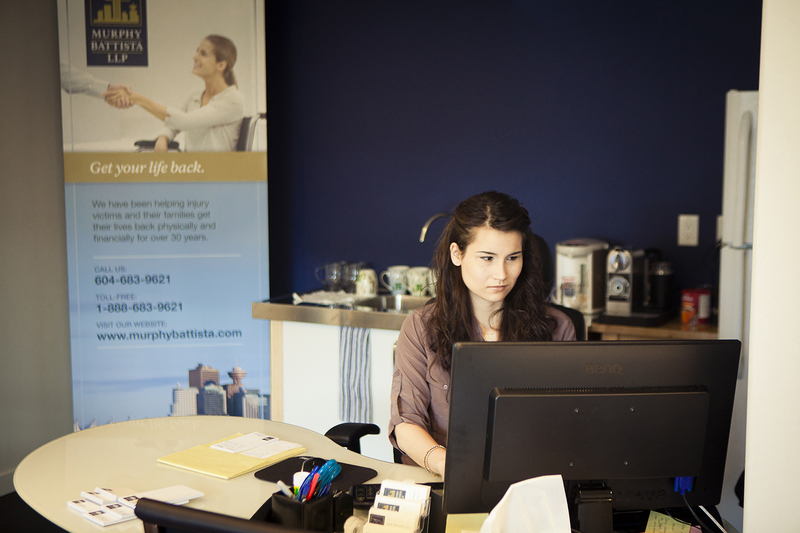 Over the last 30 years Murphy Battista LLP has established itself as one of the top firms in BC and during that process has built a vast network of colleagues in the medical and rehabilitation fields. As such, the firm is well placed to help it’s clients get the medical care and rehabilitation appropriate for their injuries. Beyond that we know there are many other challenges to meet during the recovery process. If we are unable to personally assist you with your situation we will direct you to where you can find help. 4) Can I hang out? Please do! The centre is more of a casual set up. In fact, we often have many people come by just to chat. Both of our Resource Coordinators have undergone trauma and have a personal understanding about dealing with the medical system, healing, recuperating, and living in the community with a disability. We are happy to share our challenges and successes with you. On the flip-side, if you don’t want to discuss any of that and just want to get some distraction, we’re happy to provide that as well. We have TV, free internet (just ask us for the password), and refreshments available for anyone who’s interested. 5) How can I be informed of upcoming seminars or events that the PIRC offers? We have an e-mail list and you’re welcome to sign up for email updates. Your e-mail is only used to send you information directly from one of our PIRC Coordinators about events happening at or related to the centre. You’re also welcome to call or drop by the centre at any time.